Insta seems to be overran with ‘influencers’ these days, flaunting their perfect bodies and unreal faces, leaving us questioning where we’re going wrong. But, the problem is- these people don’t even look like that. We’re so used to seeing edited pics that it’s hard to decipher whether one has actually been edited or not. The editing apps have improved, and so have our skills to keep up with these perfect images. Well, a couple of Insta pages have come to put a spanner in the works, and make us all feel a bit better about ourselves in the process. 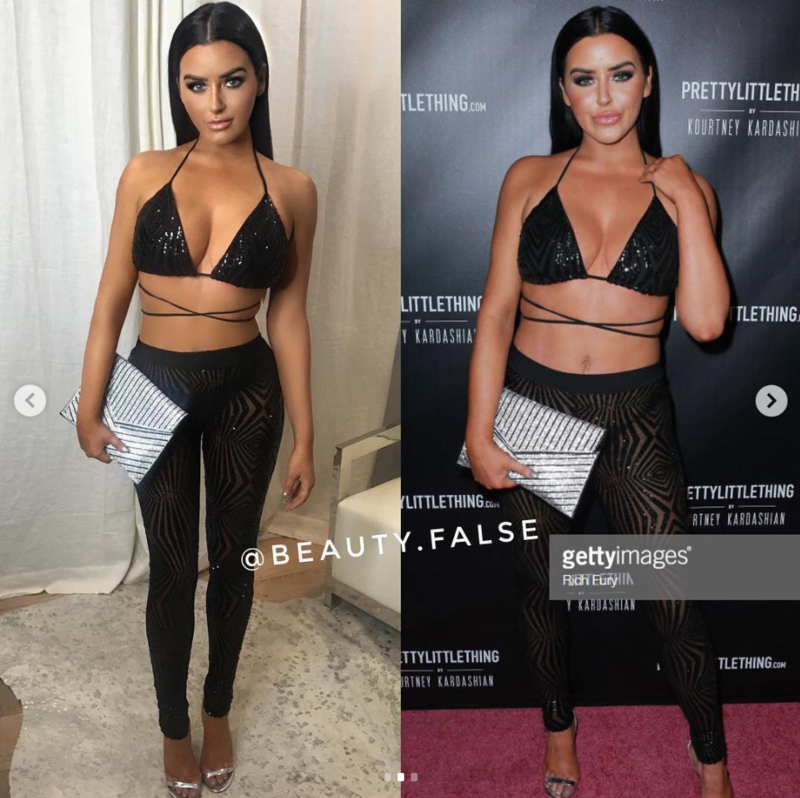 ‘Beauty.false’ and ‘celebface’ are calling out celebs and ‘influencers’ on the platform, for editing their pictures beyond recognisability in some cases. This isn’t to body shame anyone (as that would only contradict the whole concept of the account), but instead is there to reassure consumers that the content that is saturating Instagram, isn’t all it’s cracked up to be. It’s worrying that Abi is uploading such deceiving edits to her 8.9 MILLION wide audience on the gram. It’s unfair to young girls (and all of us really) to see and want to strive for a figure that even the person flaunting it doesn’t have.